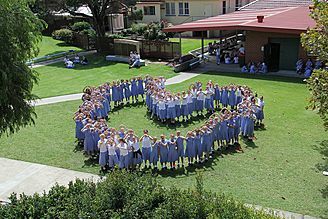 St Mary Star of the Sea College, founded by the Sisters of the Good Samaritan, is the only all girls school in the Illawarra and one of the oldest, having operated continuously for over 140 years. The College has continually been in the lead of educational innovation and leadership. 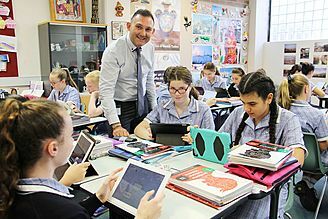 The introduction of the International Baccalaureate Middle Years Programme encourages students to make practical connections between their studies and the real world. 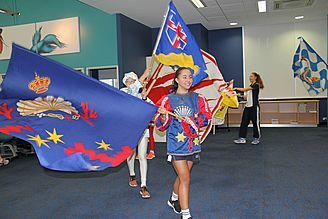 It promotes the development of students who are internationally minded, globally aware and who value intercultural understanding. St Mary’s provides extension and enrichment in a wide variety of areas: film making, orchestra, vocal ensemble, choir, stage band, College Productions, dance, drama, debating, mock trial, tournament of the minds and all levels of sport, to name a few! There are over 40 clubs and committees in which girls can participate. Our sporting prowess in all areas of sport continues to grow. The senior triathlon team came 2nd in the NSWCCC category and St Mary’s swim team won the Wollongong Diocesan Girls Swim Trophy 2017. Girls excel in sport without competition from boys. At St Mary’s, all girls know they are cared for individually. The pastoral care of each student makes the years of adolescent development a shared experience between the family and the College. 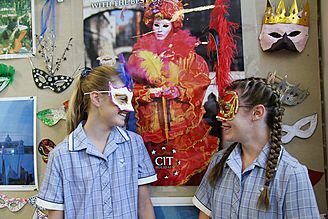 The College respects the life journey of each individual and aims to engage young women in academic, spiritual, sporting, cultural and leadership pursuits. At St Mary’s, “I am born for higher things” is a lived experience.